In 50BC, an African warrior enslaved by the mighty Roman army defies fate to becomes an officer of Auxiliaries for the Empire. 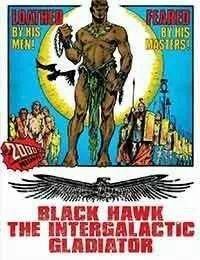 With his faithful desert hawk in tow, Black Hawk is instructed to enlist a hundred men willing to serve under him.<br />The exploits of Black Hawk and his rag-tag army of misfits become legendary. Just as he starts to gain the respect he richly deserves, the warrior is suddenly plucked from the Earth and transported across the galaxy to battle in an alien arena.